The Defamation Bill is presently in a twilight zone between the House of Lords and the House of Commons. It is being held up by the presence of the so-called “Puttnam Amendment” (clause 2). This problem is likely to be resolved today with cross-party agreement on the implementation of Lord Justice Leveson’s recommendations. If that happens the “Puttnam amendments” will be removed from the bill. It will then be free to complete its Parliamentary stages and come into law this Parliamentary session. A blog post by Patrick Kane has drawn our attention to another issue: the application of the Bill to Scotland and Northern Ireland. Clause 19(2) of the Bill provides that subject to clause 19(3), the Act “extends to England and Wales only”. By clause 19(3), the provisions of section 8 (“Peer-reviewed statement in scientific or academic journal etc”), section 9(9) (reports of academic conferences etc) and certain ancillary provisions shall apply to Scotland. These provisions were the subject of a “Legislative Consent Memorandum [pdf]” in June 2012. It is understandable that the remainder of the Defamation Bill does not extend to Scotland as the Scots law of defamation has a number of material differences from that which applies in England. When devolution was arranged between Westminister and Northern Ireland, legislative issues were separated into three categories – transferred matters, excepted matters and reserved matters. Transferred matters are issues that the Assembly has full control (or “legislative competence”) over. 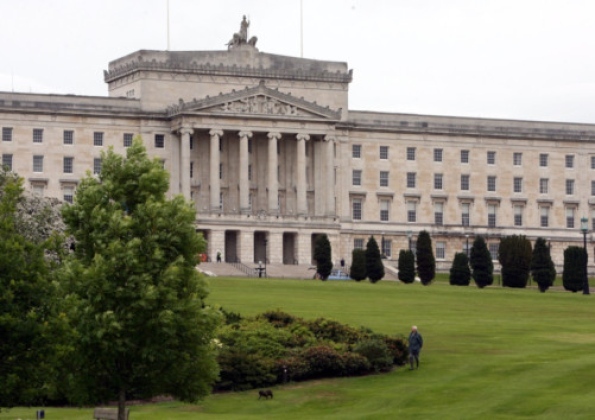 The general rule is that the Assembly can legislate over all issues – so, for example, Stormont can bring in new health laws without getting the permission of Westminster. Excepted matters are issues that the Assembly can’t touch – they don’t have legislative competence in the area. Reserved matters are issues that the Assembly typically can’t touch, unless the Secretary of State says so. (2) The permission of the court must be obtained in order to bring an action to which this section applies. (4) Non-natural persons performing a public function do not have an action in defamation in relation to a statement concerning that function. This clause was inserted against government opposition (by the very same Labour and Cross Bench peers who supported Lord Puttnam’s amendments). Although the clause is curiously formulated its intention is clear: to prevent companies suing for defamation unless actual or threatened financial loss can be established. If this clause survives the House of Commons it will be a significant change to the law (albeit one which may not have substantial practical impact as any serious defamatory allegation against a company is “likely to cause” it substantial financial loss). It is nevertheless unfortunate that the law in Northern Ireland will now diverge from that in England and Wales. As Patrick Kane says “it makes little sense for three separate libel regimes to exist within the UK (the Scottish civil system, the English civil system and the Northern Irish system)”.